According to F-22 Raptor Demo Team 2017 schedule, the most advanced fighter jet will fly to the Royal International Air Tattoo 2017. 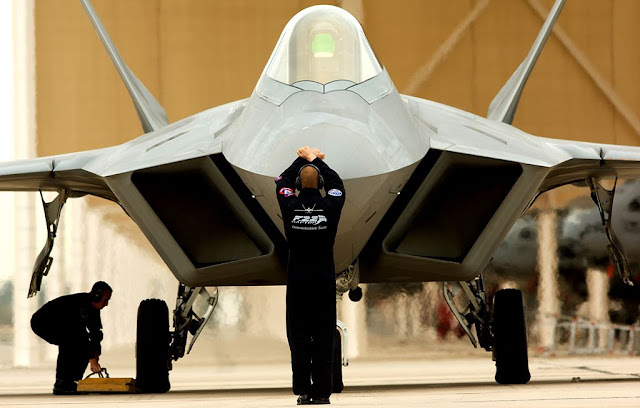 The F-22 Raptor is ready to go back to England next summer. After its stunning performance last year, the most advanced fighter jet in the world will be performing again at the Royal International Air Tattoo. 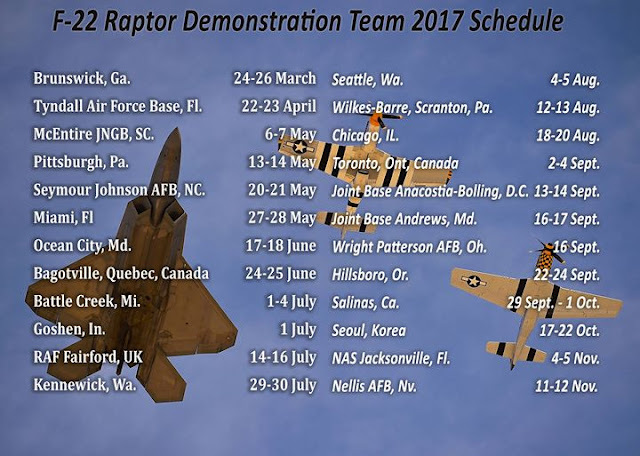 According to the display calendar just published, July 14 to 16 Raptor Demo Team will fly in Fairford (UK). Maj Daniel "Rock" Dickinson, the F-22 Demo Pilot for 2017 season, will perform precision aerial maneuvers to demonstrate the unique capabilities of the world's only operational fifth-generation fighter aircraft. The Air Combat Command F-22 Demonstration Team is based at Langley Air Force Base. At the moment it's not defined whether the aircraft will take part in a Heritage Flight, along with other historical aircraft.